This a movie review of THE BAYTOWN OUTLAWS. 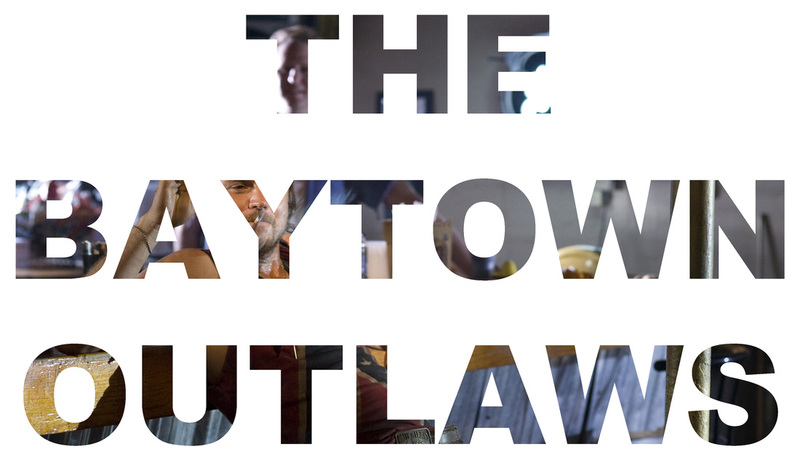 THE BAYTOWN OUTLAWS looks like it was meant to be an action caper, but the thrills are distinctly anaemic. There’s a simple plot with convoluted relationships and motivations. Much is at stake but where’s the urgency? The filmmakers take us from one set-piece mediocrely executed to the next, dawdling in between for some character beats. Opening with a production company logo being shot, and the credits done in a comic book panel stylee, we are introduced to three brothers, the Oodies. They proceed to shoot up a drug den in broad daylight. They got the wrong house. The theme of incompetence runs throughout. Everyone thinks very little about consequences. That might’ve been observational and/or humorous, but instead it is meant to enthral – it doesn’t, it makes the players a bit annoying. The sheriff, Henry Millard (Andre Braugher), at the drug den crime scene is unsurprised, and uninterested in apprehending the culprits. It shouldn’t come out of leftfield that he knows the Oodies. Millard presides over the county with the lowest crime rate in the state of Alabama. A federal agent shows up, perturbed by these statistics, smelling a rat, and starting an investigation. - The youngest, the hyperactive McQueen. They are broke, but Eva Longoria’s Celeste arrives to offer a timely proposition: Kidnap her godson, Rob, from her ex-husband Carlos (Billy Bob Thornton), and murder the latter, for 25 grand. I’m not sure what these two actors are doing slumming it here. CHINATOWN this ain’t. The brothers decide to do these requests without any qualms or background checks into Celeste, Carlos or Rob. It mighta been an exciting raid on Carlos’ compound, had the signpost of what’s about to happen not been erected. And is part of a trend: Every action sequence is given a preamble. Maybe the technique is supposed to build tension? The important tool of surprise is wasted instead. The brothers succeed in the kidnap; Carlos survives though, and sends various gangs to get Rob back. Mild mayhem ensures. Budget, time, laziness, could be the limiting factors to the major mayhem that would have provided entertainment. We also can’t rely on the leads for fun, riddled with unlikeable traits and wafer-thin characterisation. THE BAYTOWN OUTLAWS passes the time, just.